Quote: Originally Posted by scoobydoo I've owned a few older jdm shimano spinners without lock screws...The bold was reverse threaded. Never an issue How do you like the vanquish...i was looking at some JDM daiwa and shimano spinners today......Vanquish is high on the list ok. no i dont expect any issues with the nut...but its just something that will be in my brain every fishing trip, and bother me a tiny bit. The vanquish...i say like this: i have owned a stella fe, and currently a stella fi. From what ive heard about the vanquish it is like a competitor to the stella, made by shimano themselves. I thought that it would be basically a stella fe, but with carbon rotor. And maybe it is something like that, but when i first held it, stella fe was not my first thought. No, more like biomaster. Im sure its a great quality reel, made in japan and all, but its hard to get away from the fact that a lightweight "plastic" reel will feel like a light cheap piece of plastic in your hand. Its all quality materials like magnesium and ci4+, and i thought i would love that, and maybe i should, but i dont. Its hard to explain..im a bit dissapointed without having a reason for being dissapointed ;-) Im sure many people love this reel. And to sum up the bad things: Its quite loud when u sit at home in all quietness and turn the handle, and the rubber sealing on the drag knob is the smallest sealing i have ever seen. and theres no rotor nut lock. 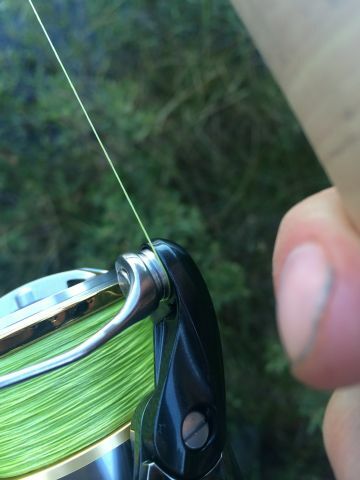 Dont get me wrong, i believe this is a world class reel, and this is all minor problems. On the good side, the drag is incredibly smooth. stella-class if not smoother! I havent owned it for so long though so time will tell more exact how the drag compares. I just bought the shimano vanquish but i dont like that it has no lockscrew for the rotor nut. i know its a very small risk that the nut will unscrew when i have my dream fish on the other end, but it bothers me somehow to know that it is not as fail proof as other reels. Almost every other manufacturer has some kind of solution to keep the nut in place, from budget reels to high end. And shimano has it on the stella. But why do they leave so many high end reels just under the stella, without this safety? I have heard of cases when the rotor nut loosens, and the rotor starts to wobble on the sea. Hello friends. I want to know your opinion for the rod i bought. So here`s the deal: This summer, i bought the stella fi 4000, and also the rod aspire dx, to have a nice combo. And it was nice. 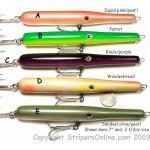 But i mainly chase big pike from boat, and when i use larger rubberbaits (or rubberlures? my english is not perfect), the aspire-rod bent very much, and it seemed not healthy for the rod. So, i went looking for another rod to have when i fish from boat. The only rod i could find (i only want shimano for the stella) was the beastmaster dx -120g. Where i live, its hard to find other shimanorods than the speedmaster or beastmaster. I knew from the beginning that i didnt think it was the optimal rod for my stella, but i had no choice at the time. It works for fishing, but its ugly, feels cheap, and the screw-mechanism wants to unscrew when i place my hand on the rod, and i have been loking for a replacement ever since. So, just by luck, i was surfing the web in the middle of the night when i was so tired that i should have slept hours ago. I found the rod Shimano purist pikey poker, that was on sale for half the price. I didnt think, i just saw the "on sale"- sign and clicked the buy-button. Firs i thought that it was a much more expensive rod than the beastmaster, but today, after a little research, its hard to say because there is an enormous difference from store to store when it comes to prices for beastmaster here in sweden. Would u say that the pikey poker is a better match for my stella? Quote: Originally Posted by hobobob I have licked a guide or two during ice fishing. Before switching to all fly reel setup. Fagin, I suspect the grove in the roller is to gain more traction on the line, sort of iron out more line twist before the line enter the spool. Even modern daiwa reels have grove, just differnt in design. If the roller is flat, line will be likely to slide around, little or no twist reduction. I have been using shimano spinning reels for quite a while, no problem with their line roller except for the condition that lucky has described. I do always close bail by hand thou. Hi :-) The question is not about the groove, but the area surrounding the groove. in most reels, that area is leaning so that the line ALWAYS find its way to the groove. In some shimano reels, including the new stella, that area is flat, wich causes the line to MOSTLY find its way to the groove but not always. Why did they not choose the design that makes the line ALWAYS slide into the groove? Ok this thread didnt become what i intended it to be, but its always fun do discuss and thanks for all answers :-) My stella is brand new, and yes maybe the angle is bad on the photo but this is how they all look, ive seen many here irl. The purpose of the thread was not to discuss MY reel, but similar type rollers in general. Again, i dont want to say that i have a problem with the reel, i just think its strange that they have choosen a design where the line has a chance to lay on the flat surface, if only for a short while. This is a billion dollar reel, and they have created a one-piece-bail to solve a non existing problem, so it seemed they went for perfectionism. But they made a roller with flat surfaces that catches the wire more often than a traditional bail. And it seems its not only stella fi. they choose flat surfaces, so i wonder if anyone know if there is a BENEFIT to this design? They know how to make sloped surfaces since they have other reels with such design, but int their premium model they made flat surfaces. I thought stella was the reel where they used all the best solutions throughout the entire reel, so why did they not choose sloped surfaces? Im from sweden by the way, so i dont live close to "jerz" ;-) PS. I have a macbook nowdays. does anyone know how to draw red arrows and other things on my photos? When i had pc i only pasted the picture in "paint" and then i could draw anything . Quote: Originally Posted by Jay Blair Fagin, I am not saying something is wrong with the reel, only that it looks like the Roller Anchor is not seated tight. It could be that it was simply not assembled 100 %. In your picture it looks like there is a small gap at the top between and anchor and the receiver. If it is tight and aligned then that is not the problem. Just trying to help. You are the one who asked for help and posted the pic. or is it your intent just to trash Shimano's engineering? I said the Shimano might have a problem, but I would be surprised because they generally do a great job. I have not had any problems with my Shimano reels other than minor stuff like the rubber pealing off of a handle knob. Getting the bail roller anchor seated is a little tricky sometimes, but in my experience it is easy to solve and I have not had any problems with their rollers that were not user error. I fish and cast so much that I wear the gears out of high end reels, but even then Shimano came up with the Paladin gear system which seemed to have solved that problem. Maybe you should just send it back to the dealer for a refund or have Shimano look at it, that is unless you bought a factory second on Fleabay, then all bets are off. If you are really unhappy and bought it from a good dealer they should give you your money back, give you a credit or exchange when you return it. You said that there might be a problem with the roller anchor not being seated properly, and i answered that all new stellas look like this, so that we could exclude that. Problem? I think you are missing the point. My question is why on earth there is flat surfaces on both sides of the slot instead of sloped ones? As seen on the picture, if the surfaces had been sloped the line would slide down to the slot where it belongs. Shimano knows this on stella swb. they also know it on other reels. Almost every other manufacturer has sloped walls. My wonder is: is there a benefit with this design that i just havent thought of? Or has shimano made a ugly and irritating mistake on some of their high end reels? stella fi has it, stella fe i believe has it, vanquish, biomaster..
Quote: Originally Posted by Jay Blair Exact same problem that I had with the Daiwas, but Scooby also has a point about possible minor damage or assembly issues. It looks like the round hub that acts as an anchor for the bail roller assembly is not seated all way into the roller housing. In servicing my Shimano reels I have found that this happens frequently if you are not careful.It needs to be completely seated in and against the housing before you screw in the assembly or there will be a gap that causes problems just like the ones you are describing, or it could also just be how the photo looks. I will be curious to see what Scooby thinks. If that is the case it is an easy fix. You need to unscrew the roller assembly, reseat the anchor hub, hold it in place with one finger while you screw the roller assembly back in place with your other hand. Make sure the roller hub does not back out while you are screwing it tight. If it continues to do that then the components inside the roller assembly are not in the right positions. Sometimes you need to manipulate them a bit so they are also seated flush, and concentrically. The hub is that round silver looking piece that fits into the top of the bail arm. Nothing "wrong" with my reel. It is brand new and every stella fi looks like this. If you know anyone that has one, take a look at it. They are all the same. Issue is a strong word, but i wonder why shimano puts time and effort to make a one-piece-bail, to solve a problem that almost didnt exist (seriously, how many of you have ever had a problem with the line getting stuck in an ordinary bail arm? ), and then leave this corner in the other end. And its not only in this corner the wire can stay. Sometimes it can stay right beside the slot, on the flat surface. As i said before, when casting and retrieving it will mostly find its way to the slot. But when im trolling, and i have released line to the lure and then only flips the bail over, i will find the line in this corner most of the time. Yes i KNOW i can move it with my finger every time, if i remember to do so, but this is a flagship reel. Those issues should not exist. From the album Shimanos slotted line rollers...badly engineered? Possibly. Shimano claims their roller will reduce line twist. And if its not working, its not working. And the edges of the cutout is quite sharp, so under heavy loads there is always a possibility that the line may take some damage when its lying halfway in the slot and halfway outside of it. Also, when the line is stuck in the corner, it will rest against a bail arm that stands still , while at the same time roller is rolling at a high speed and rubbing it. This is small scale theoretical issues but i thought stella was the opposite to such issues. But the biggest problem is that well-educated engineers havent noticed a problem that a small human like myself can see with my bare eyes, and taking lot of money for it. This is after all a high-end reel, not a budget reel. I pay money to get a reel with great attention to detail. But now it seems a mid-range reel would do better.